We are very passionate about pregnant mothers. Chiropractic care is a safe and natural approach to helping prepare your body for delivery of your baby. We believe it’s very important to get adjusted during your pregnancy so your body and baby is healthy and functioning at its optimal potential during ALL trimesters. We have seen many young mother’s benefit from adjustments throughout their pregnancy and aid them in the delivery process. We usually adjust mother’s right up to the day your child comes into the world. If you have a breech baby WE CAN HELP. Chiropractic adjustments can help loosen up the pelvis and round ligament to natural assist in “flipping” the baby. We’ve had numerous successes. Even if you are days before your due date we can still do our best without any intervention of external maneuver approach to get the baby head down. Gentle Webster’s technique approach. Many moms develop spinal issues during pregnancy. We understand those are structural issues that chiropractic care can help with. With each trimester you and your baby grow and your spine has to learn how to accommodate to these “new” stresses, center of gravity will change and increase in hormones, oxytocin/relaxin will provide especially the pelvis area, natural lubrication for your body to “spread out” or “open up” to make room for baby and labor process. Some experience sciatica, burning in the hips, unable to stand for amount of time, swelling in ankle or wrist (carpel tunnel.) By relieving nerve interference, your body can heal naturally, so you and baby experience a more comfortable pregnancy. Adjustments can also relieve headaches caused by hormonal changes. We’ve helped a lot of woman have a successful VBAC. Sturgeon Bay chiropractic care helps ensure your pelvis and body is working as it should for a healthy, easier delivery. We’re very conscious of your baby and ensure you and your child are safe and will benefit from care. We’re very gentle and your safety is a top priority. As always, we’ll explain the way care works and tailor your adjustments to your precise needs. Please check out ICPA4kids.org great website with great resources. 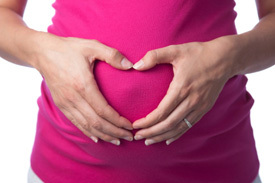 Are you wondering if chiropractic care can help make your pregnancy more enjoyable? We’d love to talk with you and show you first hand! Call our office at (920) 743-6919 to schedule a no-obligation consultation.